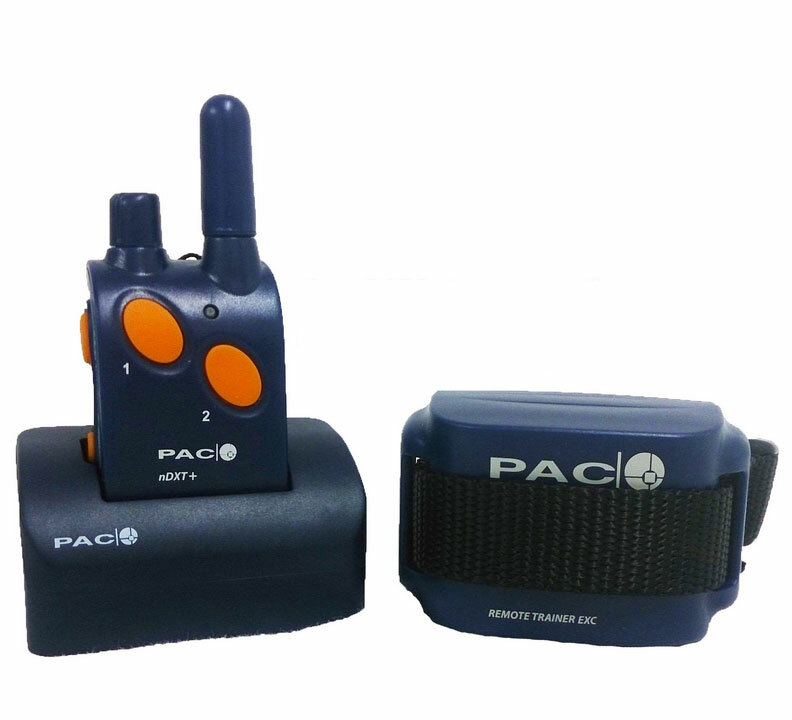 The simplicity of operation makes the Pacdog Ndxt+ Exc4 Vibrate a natural choice for the apprehensive pet owner and for the casual trainer, where most problems to be corrected are ‘domestic nuisance’ or where the dog is normally misbehaving at shorter distances. 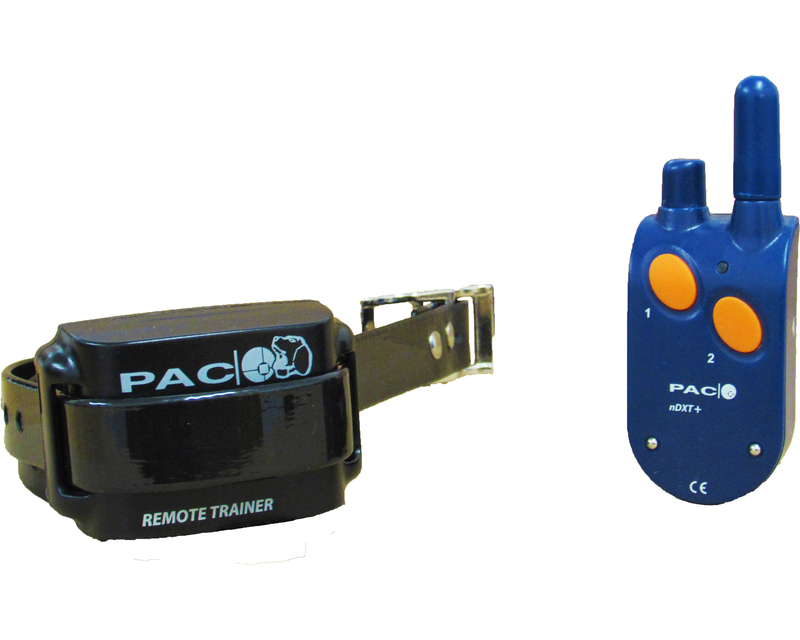 The Pacdog Ndxt+Vibrate with Exc7 collar Training system, will enable the dog handler to simply and accurately address the dog with an appropriate correction, according to his misdemeanour. Without the dog realising that the correction is coming from his collar, the dog needs to appreciate that a stimulation, at whatever style or level, is his trainer’s back-up option. 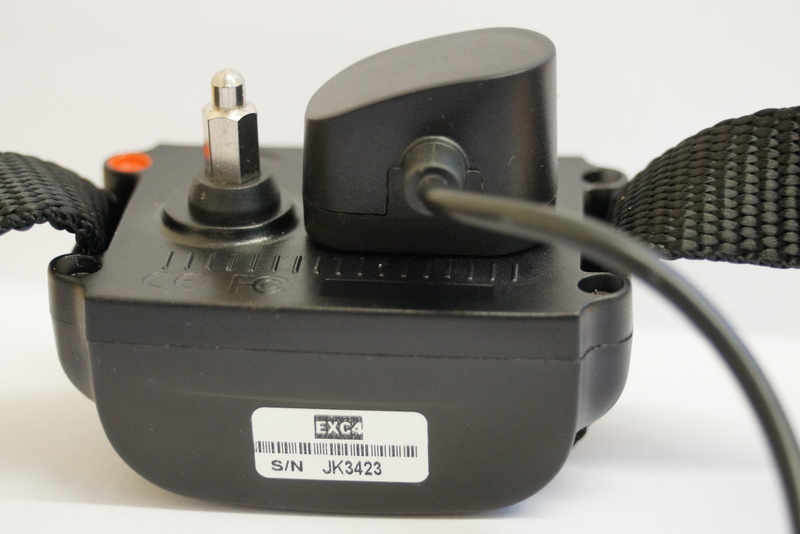 The tone (beep) warning system on the nDXT remains the most humane style of control in distance training. However, just as wayward or criminal human activity attracts various levels of legal deterrent, the higher levels of collar stimulation need to be at hand, seldom, if ever used, to discourage some of the more serious and unwanted behaviour in dogs. As the correction is made whilst he is misbehaving, the levels used can be very low (almost like pins and needles): indeed, just sufficient for the dog to associate cause with effect. 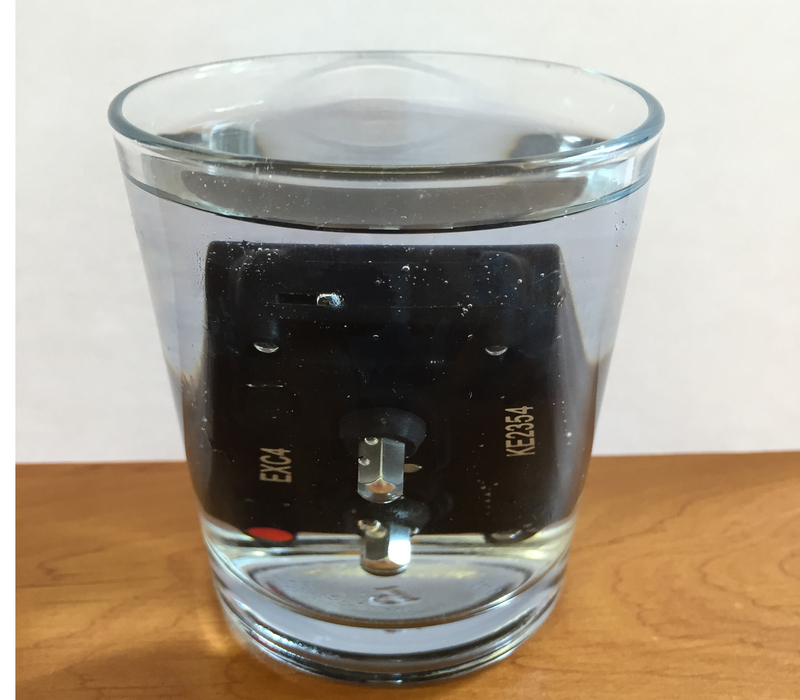 To assist with heat-of-the-moment decisions, the intensity setting is easily adjusted with the intensity adjustment knob to impart a suitable low level of stimulation for expected disobedience problems, but this intensity may be increased quickly if the level of problem encountered demands a raised level of correction to cope with the situation. To match the collar’s correction characteristics even closer to your dog’s expected behaviour, there are two normally used, stimulation styles: the very safe momentary single-pulse, each time the trigger is pressed; and continuous pulsing style (at about 10 pulses per second), for as long as the trigger is pressed. Our new Pacdog Ndxt+Vibrate with Exc7collar, allows a very quick and easy training regeme that should enable you to break into even the most determined dog’s train of thoughts The nDXT allows you to to grab his attention, making him believe that his trainer has now acquired an irresistible authority when he reaches out, from almost any distance, to tap him on his shoulder’. The training process should soon become a stress-free and more pleasurable experience for you and the dog. He should then respond much more readily to your gentler and timelier, voice or whistle commands, because he will very quickly realise there is little point in protesting. In most situations, the dog can be weaned from the collar altogether. For a dog to enjoy a fulfilling life, he needs plenty of exercise, running free. But, how can this be possible if you cannot trust him off the lead? 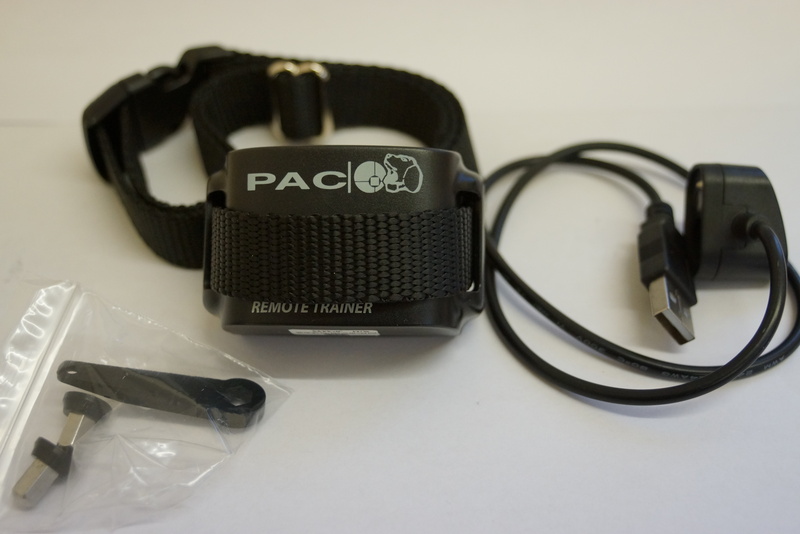 Well, there are very few dependable methods recommended by the experts, and whereas spray collars might offer a short term respite, certainly there are very few more successful longterm, long-reach tools than a PAC remote trainer such as the nDXT, which is equivalent to a very long, invisible line that can tingle, but never tangle.